South and North Korea most likely will unite again, said South Korean international student Seok-hyun Hwang. But no one can predict when. Recently Hwang, who is studying journalism at OCCC, gave a presentation for the Multicultural Business Club about his home country. With the help of a prepared slide show, Hwang described South Korea in detail, noting some interesting facts that most people don’t know. Hwang described his hometown of Seoul, the capital of South Korea which has a population of 10.5 million. Hwang said he does not need a car to get from place to place because the city has a good public transportation system. In discussing the 20th century history of Korea, Hwang explained that Japan occupied Korea from 1910 to 1955. As soon as Japan left, the U.S. and Russia became involved and Korea split in the north and south. Many people understand that North Korea and South Korea are split but most do not know what caused it. Hwang explained that Korea split when tensions caused the country to embrace two different political systems. Hwang presented two music videos that showed the audience what youth culture is like in South Korea. Unfortunately, Hwang said, relations with North Korea are very poor. 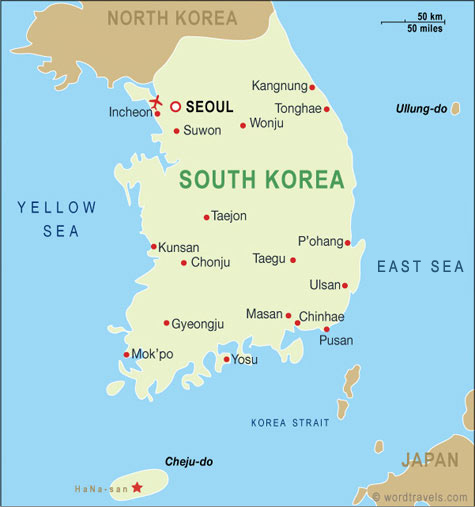 Though still in a state of “cease fire” after the treaty that ended the Korean War, North Koreans cannot leave their country at will and South Koreans are rarely allowed to enter. Hwang admitted he had some misconceptions when he arrived in the U.S.
“I was expecting more modern buildings.” he said. He found city life in Oklahoma to similar to what he was used to – minus good public transportation. To contact James Krummel, email onlineeditor@occc.edu.